Stanford medical students still learn traditional topics like anatomy, genetics and neuroscience. But now, they can also learn how to cook, thanks to a new hands-on course developed in part by Stanford’s Michelle Hauser, MD. A former Le Cordon Bleu chef, Hauser is currently an internal medicine-primary care attending for Stanford residents and a postdoctoral research fellow at the Stanford Prevention Research Center. She teamed up with Stanford pediatrics instructor Maya Adam, MD; physician Tracy Rydel, MD; nutrition researcher Christopher Gardner, PhD; physician-chef Julia Nordgren, MD; and Stanford chef, David Iott, to launch the new class, which is featured in a video. “Teaching kitchens are the perfect, hands-on medium to help doctors learn about food. By learning to prepare delicious, healthy food for ourselves, we become healthier — and studies show that physicians with healthy habits are more likely to counsel patients on those habits. Additionally, it’s more fun and memorable to learn about food and nutrition while cooking and sharing meals together than it is to sit in a lecture hall. 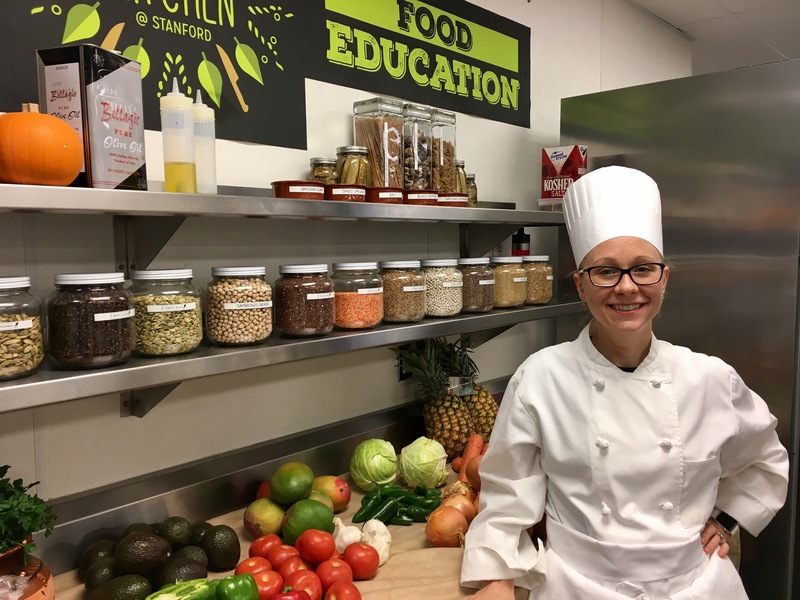 As a platform to teach about nutrition, our new teaching kitchen elective focuses on how to prepare healthy meals based on plants and whole foods, a diet that is ideal for the majority of the population. We also teach a concept called the “protein flip” — instead of having the center of your plate be a large piece of meat, you use meat as a garnish for a plate full of plant-based foods, such as vegetables, fruits, whole grains, legumes, nuts and seeds. Think veggie chicken stir-fry with brown rice or a main course salad with a small portion of grilled salmon. “Healthy food has gotten a bad rap for far too long. We need to make sure that healthy food is delicious if we expect people — including ourselves — to eat it so that it can nourish our bodies and prevent nutrition-related chronic diseases. Food is a huge part of all of our cultural identities and is intricately linked with many of our fondest memories. I often see medical professionals in training and in practice tell patients to stop eating a whole variety of things — many with personal and cultural significance — without helping them figure out what and how to eat differently. And these conversations often make it sound like the patient needs a ‘special’ diet inappropriate for the whole family. Instead, we need to celebrate the togetherness of sharing healthy food.